Home Page | Female Talent | Is it time to be more naked at work? My passion centres around valuing talent, letting go of out dated stereotypes and embracing the new, to achieve our greatest potential. I would like to see maternity policies that are clear and easy to understand and available to read before a pregnancy commences. Way before, so you know where you stand and can plan ahead. I would like to see flexible working policies that truly support women who are transitioning through pregnancy and new motherhood, enabling them to thrive in their careers for many years after. I would like to see mothers being more open and honest about their needs and desires, before they are sitting in an exit interview or posting anonymously on pregnantthenscrewed. 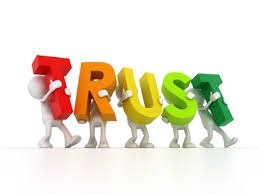 I believe when we can embrace openness, trust develops from both sides. More loyalty and commitment appears. Creativity rises. Employees give back as much as they take, if not more so, and the relationship between employers and employee moves away from feeling purely transactional to a real labour of love. When women become mothers they have another competitor for their affections. They can fall in love with their babies, and out of love with their work. Companies have the option to lead the way. To be transparent and supportive. To be realistic about what is sustainable and fair. To expect honesty and to provide it in return. Women want to work. Mothers make great leaders. Is your company going to embrace create a culture that allows this?